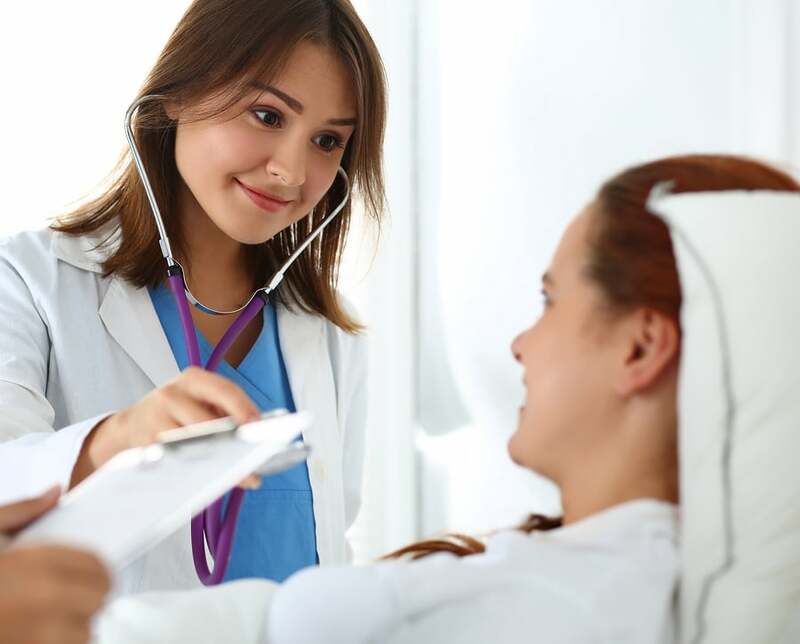 Among the professional fields out there that require student debt, you might be surprised to hear that nurse practitioners have some of the best debt to income ratios. Forgiveness options through the NHSC, NURSE Corps, and Public Service Loan Forgiveness allow NPs to not feel the full burden of what they borrowed. Nurse practitioners are in demand in the job market and incomes are reasonably high. Even so, I regularly see NPs who cost themselves tens of thousands on their student loan repayment. This is particularly true for DNPs who have years of additional training during which they borrowed to fund life and school expenses. 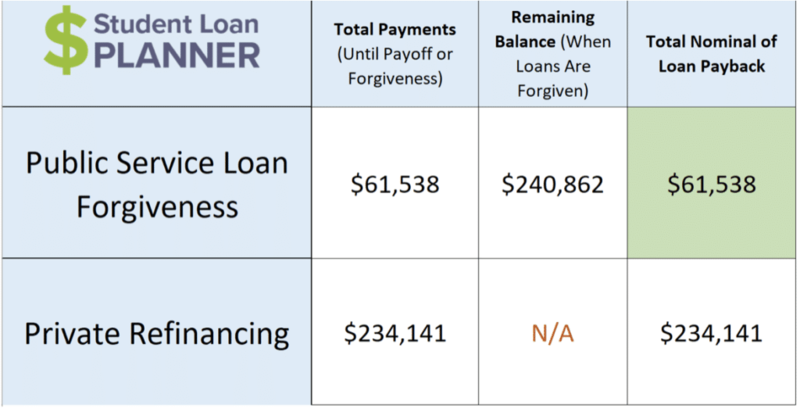 There are quite a few nurse practitioner loan repayment mistakes I see NPs making. While the DNP is not required, it’s certainly encouraged. The American Association of Colleges of Nursing (AACN) wanted the DNP degree to be required by 2015, but obviously, that adoption didn’t fully get implemented. I think it’s a big conflict of interest for schools to suggest that the two-year degree isn’t sufficient to deliver care when the recommendation is that you stay for another two years and pay them more money. Who cares about efficiency when you could bank another couple years of tuition checks right? In fairness, I often run into nurse practitioners who have about $50,000 of student debt from a master’s program. This kind of debt is easy to pay back if you make some realistic sacrifices and buckle down. You might be able to work while going to school and keep the debt load even lower. $50,000 or less is a small enough debt load to join something like the NURSE Corps or apply for NHSC to have most of the balance wiped out. In contrast, whenever I help a nurse practitioner who owes more than $150,000, she usually went to a private school and often spent four years there, though I see huge balances with accelerated programs too. About 23,000 nurse practitioners graduate every year according to this study by the AACN. There’s a wide range of debt loads that result. Although the typical debt you hear about in the media might only be $50,000, I routinely see debts in the $120,000 to $180,000 for the DNP degree. That gives a lot of room to make a lot of mistakes. Below are 3 main student loan mistakes to avoid. 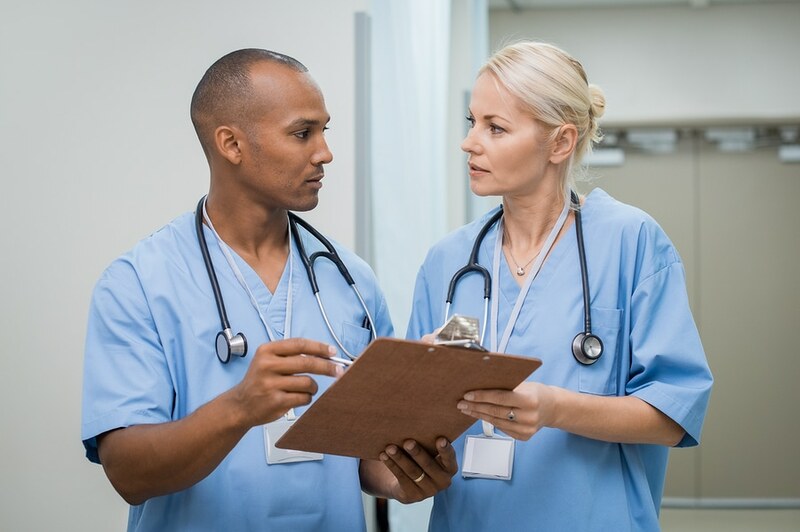 Student loan forgiveness mistakes are common when you’re a nurse practitioner. If you work in a doctor’s office, you better get a higher salary to compensate for not getting any loan forgiveness benefits. A two-year commitment with the NHSC could be worth as much as $60,000 tax-free. Joining the NURSE Corps could allow you to pay off a majority of your debt with federal dollars. These programs are great if you owe five figures, but if you owe six figures in debt they don’t make enough of a dent. Imagine working in a not for profit health system and getting your loans forgiven tax-free after 10 years of payments on the PAYE, REPAYE, or IBR payment plans. Pretend Kalia has $180,000 of student debt at a 6.8% interest rate and she works for a non-profit health system. Say she saves the max of $18,500 in her retirement account and pays on the PAYE program. After 10 years of payments, her total that went to the loans was $61,538. Compare that to refinancing $180,000 at a 5% interest rate for 10 years, and that cost would be $234,141. See the image below. That’s a benefit of $17,300 per year in take-home pay. That would amount to about $25,000 a year in salary value. So if Kalia is looking at two jobs and one is PSLF eligible, she could accept $25,000 less in pay and still be in the exact same financial situation. Many nurse practitioners want to have a rewarding career while having a family too like most professionals. You want to make sure your repayment strategy reflects that, or else you could be paying too much for no good reason. Imagine you owe a bunch of debt from your DNP degree but you want to work part-time for a series of years to have more time with kids while they’re young. You plan to go back to work soon after the youngest gets into elementary school. In that case, the value of having a flexible repayment program where you can pay based on your income is very important. You can even use something like Revised Pay As You Earn to get interest subsidies and cut your interest accrual while you’re making low earnings. Another hack is filing separately for taxes. When you get married, you can exclude your spouse’s income on the PAYE and IBR plans but not REPAYE. When you file taxes separately, you might have additional tax penalties, so it’s important to weigh the different choices and choose the one that fits the most with your lifestyle. Whatever you do, don’t choose the Income Contingent Repayment program (ICR). There are a couple rare exceptions, but you don’t want to be paying 20% of your income for no reason. The PAYE and REPAYE programs are only 10% of your income, and the IBR program is 15%. I run into DNP grads all the time who are paying way more than they have to simply because they chose the wrong repayment option. I don’t blame them because they present you with at least a dozen different options it feels like during exit counseling. Nurse practitioners make good salaries. According to Medscape, the typical DNP has an average income of $112,000. If you have a debt to income ratio below 1.5 and you work in the private sector, you should be able to get something between 3.5% to 5.5% percent by refinancing. That’s much better than the federal interest charges of 6, 7, or 8% and even small changes in student loan repayment rates can make a big difference. Refinancing can be used to either lower your payment amount or get out of debt faster. Either is better than giving a bank more profits. To show you why it matters, let’s assume Rachel has an income of $120,000 on $150,000 of debt from her DNP program. She can refinance to a 10-year fixed rate with a 4.75% interest cost, or she can keep her 6.5% with the government and pay it off. Notice that the difference is about $18,000 of interest! If Rachel paid her loans off early with big prepayments, then she’d save even more. If you’re not benefitting from some special repayment program and you work in the private sector, then you should probably refinance. This is particularly true if you don’t have any other student debt in the family and you owe less than your income and work in the private sector. If that’s you, then you need to shop around at least three lenders to find the best rates. So many NPs just refi somewhere because their friend told them to. That can work out, but it’s better when you look around at different options and not just sign up with a bank that sent you something in the mail. You could use some of our refinancing links and get a cash back bonus, but feel free to shop around too to see if you could find something better elsewhere. I’d be shocked if you did find better deals if you apply to a lot of the lenders listed here. The nurse practitioner MSN and DNP degrees are one of few that usually makes sense economically. There are specific cases where nurse practitioner loan repayment mistakes occur because math doesn’t add up. One example is with private schools that want to enroll older students later in their career. Regardless of how much debt you have as a nurse practitioner, the most important thing is to get a plan. Don’t let the interest continue to grow without knowing what you’re doing with the debt. Either go for a forgiveness program, sign up with the NHSC or NURSE Corps, or refinance. Whatever you do, don’t stick your head in the ground and pretend the debt will go away. With a little bit of planning, you can achieve your goal of having a comfortable income, rewarding job, and financial security. Feel free to shop around on your own for refinancing deals, but if you want a comprehensive student loan plan, that’s all we do. We love making custom student loan strategies a reality for our DNP clients. Do you think your DNP degree was worth it? What are the common mistakes you see your peers make with their student loans? Share below!